Thanks for this article – We are on the same page. My Music House program in NYC speaks to this as well if anyone wants to take a look: nycmusichouse.org Keep up the noble work! I had a short look at your website. I really like it. It turns out that there are a few of us sprinkled around the world who think music is actually fun to learn and play and teach, and that we are all musical if someone doesn’t mess us up. It is nice to meet others in my tribe. I LOVE this post!!! So happy to find you! I read about your recording a week program. I haven’t had a chance to actually listen in but I think it is a great idea. Everyone needs an audience, even a virtual one or an imaginary one. Thank you! I needed this today. I have my piano recital this week, and as I wrote out the program, I realized that this year most of my kids are in the thump, hum, buzz, three-pedals-at-once, see-what-happens stage. Instead of cringing on Friday night, I’ll remember to celebrate!! oh, so THAT’s why I can’t seem to get my head around a recital this year: no recital-type products yet. Nora is one of my favorite pianists. « Another Video In Our Continuing Series On “How To Play The Piano” : Just Play It! 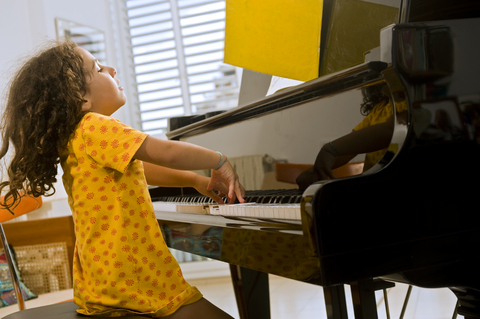 You are currently reading A Piano Teacher’s Guide To Fooling Around At The Piano at Piano Connections: The Studio of Megan Hughes.